Each restoration is custom-made to ensure a comfortable fit and a natural appearance. A proper fit also prevents the onset of tooth decay and infection. We begin by making room for your new restoration, which means removing a small amount of surface structure. We then take impressions of your smile, which will be used by a ceramist in a dental lab to fabricate your new dental crown. You then return to the office so we can place the completed one and improve your smile’s health and appearance in just two visits. A crown covers the entire visible portion of your tooth. As a result, we use them to repair chipped or cracked teeth, or lengthen worn down teeth. We also address severe tooth decay and dental infections, returning your smile to optimal health. If you have issues with the shape and color of your teeth, then a restoration could help. We also help replace missing teeth, using them to anchor a dental bridge firmly in place, or to complete a single tooth dental implant. If you have issues that require more than a filling more not necessarily a full crown, then we may create an inlay or onlay, known as partial crowns, from lifelike materials. Placement will again take two visits to complete. With proper care, your new restoration can last for many years to come. Taking steps to protect your dental crown also helps safeguard the rest of your natural teeth. You need to brush your teeth twice a day and floss before going to bed. Brushing and flossing help limit how much plaque forms in between your dental cleaning. A cleaning every six months helps remove all plaque, protecting your smile from tooth decay and gum disease. We will also monitor your smile’s health and stability. 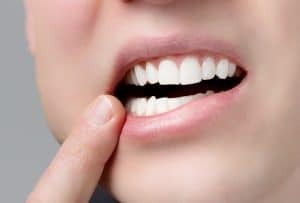 If you have an aching or damaged tooth and would like to see restorative and cosmetic improvement, then please let us know. We want to help you enjoy optimal oral health, and a smile you’ll feel proud to show the world. Our custom-made dental restorations help improve the health and function of your smile, while also ensuring a natural appearance. 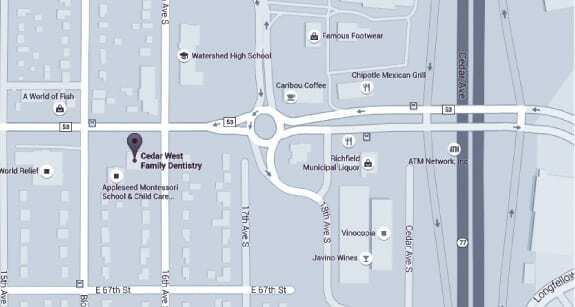 To learn more about our lifelike dental repair options, schedule a consultation with Dr. Keller by calling Cedar West Family Dentistry in Richfield, MN, today at (612) 861-7188.